21 August 2016: The Miss Thailand Group recently stayed at Chatrium Hotel Royal Lake Yangon from 17 Aug to 21 Aug for the photoshoot of the Make-Up Toe Toe’s Myanmar Calendar 2017. The girls were delighted to visit Myanmar and looked very beautiful in the traditional Myanmar wedding dresses they wore as part of the shoot. During their stay at Chatrium, they had lunch at the hotel’s Kohaku Japanese Restaurant, dinner at Tiger Hill Chinese Restaurant and enjoyed a relaxing evening at the lobby lounge and Nemita Spa. Explore the amazing background of the 2017 calendar at Chatrium hotel’s lobby, ballroom and pool garden and try Miss Thailand’s favorite signature dishes at The Emporia, Tiger Hill Chinese Restaurant and the Kohaku Japanese restaurant. For reservations, please call T: 95 1 544500 or E: fb.chry@chatrium.com. Photo shows: Chatrium Hotel Royal Lake Yangon welcomes Miss Thailand upon arrival on 17 Aug 2016. 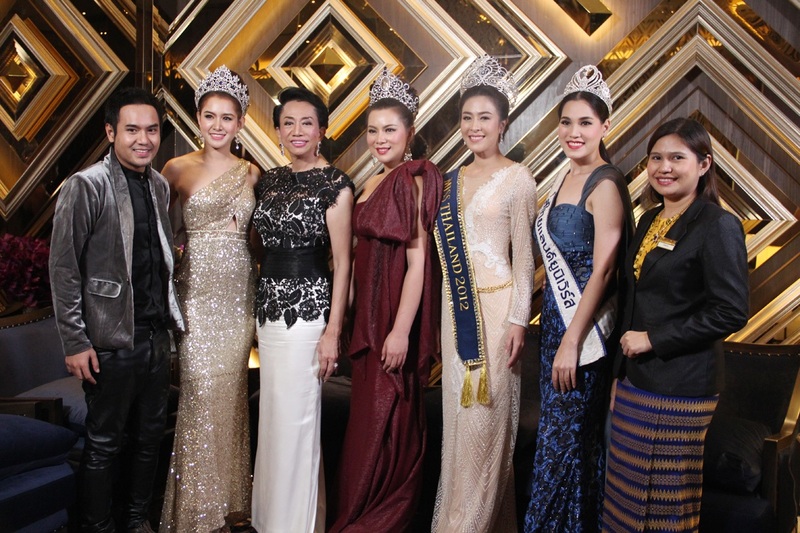 Photo shows: Group photo of Chatrium Hotel’s management and Miss Thailand.